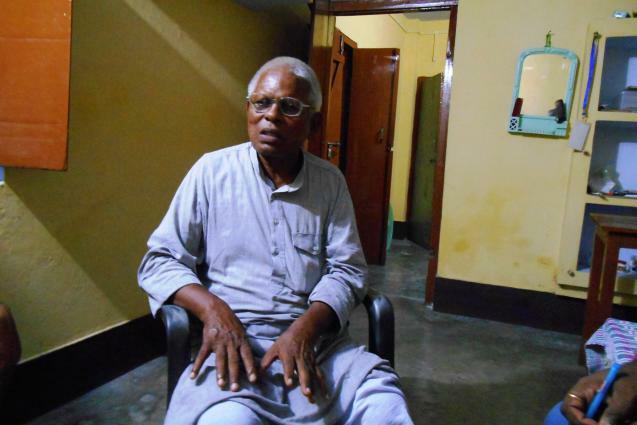 What made Vibhuti Chauhan find within him such a strong empathy for a community that was barely recognised as part of humanity that he waged a four-decade-long struggle for its rights? After all, neither were the Musahars politically significant, nor was he himself from the community. Perhaps it began with that first encounter with injustice in the raw, when wages due to some Musahars remained unpaid and Chauhan, as a young man inspired by social democratic principles, demonstrated for justice outside the SDM’s office. “The first thing that struck me about the Musahar community when I started interacting with them in the 1970s was that hardly anyone knew of its existence – certainly not the officials. As for the Musahars themselves, they did not know their rights, they did not even know the significance of Independence Day, or that a Vidhan Sabha (state assembly) existed. They lived in broken huts, with nobody bothering about them,” recalled Chauhan, now in his mid-sixties. Land and dignity – these were what the community needed most of all. Chauhan assisted them in getting their loans written off and taught them how to petition the authorities for ownership of ceiling land. The process was slow and often accompanied by violence. Any attempt at organising the Musahars or demanding justice for them was met almost immediately by aggression. Hamlets were flattened and houses set on fire, as landlords deployed their goons to unleash intimidation and terror. In this already unequal battle, the police often openly sided with the powerful. Chauhan has himself faced police firing and still carries the marks of these encounters on his body. But the traumas and tensions, notwithstanding, he remained steadfast in his purpose. Chauhan described the coming of ActionAid into the region for the first time in 2001 as a “strong wind of change”. As the Musahar Vikas Pahal took shape in eastern Uttar Pradesh and began representing the Musahars, with Chauhan himself as one of anchors of the process, the critical issues were clear, and ranged from violations of Scheduled Castes and Tribes (Prevention of Atrocities) Act and social recognition of the community, to land rights for the dispossessed.